HQ Acupuncture Monika Kobylecka, L.Ac. acupuncture at Children’s Hospital Los Angeles (CHLA). master’s unique style. 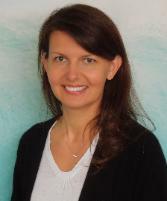 It was during one of the first classes Monika attended with Ms.
acupuncture in the United States and around the world. Acupuncture Clinic which provides acupuncture to physicians, nurses and hospital staff. between Eastern and Western medicine in a practical and patient-focused manner.